A new concept for ultrafast data transfer over fiber optic cables has been developed by engineers at the Ruhr University Bochum. In conventional systems, a laser sends light signals through the cables and the information is encoded in the modulation of light intensity. In information technology, multiplexing schemes are used to transmit more signals than the number of available transmission channels. 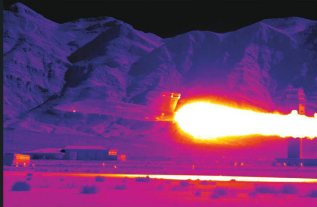 One of the greatest advantages of thermal imaging cameras in military research and range applications is their ability to image and record thermal data without the need to touch the target under testing. This eBook offers a comprehensive understanding of research and science thermography with topics including how IR cameras work, finding resolution in a distant image, and challenges of infrared radiance measurement. Read more. 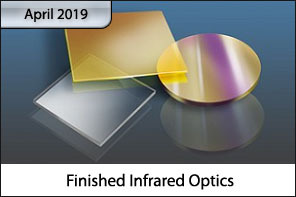 HOYA CORPORATION USA Optics Division is a leading supplier of advanced optical materials and components for scientific, technology and industrial companies throughout the US. Supplier of precision optics including extreme precision aspheres and freeform, meter-class flats and windows in common and exotic materials. Full electro-mechanical-optical design/prototype and manufacturing capabilities for medical, defense, military, ISR, semiconductor and industrial technology research. SCHOTT Electronic Packaging, a business unit within SCHOTT, is a leading developer and manufacturer of hermetic housings and other components for the reliable, long-term protection of sensitive electronics. Our core technologies are glass-to-metal and ceramic-to metal sealing, thermal sensing components as well as a variety of cutting-edge specialty glass competences. In the medical field, SCHOTT EP manufactures hermetic, customizable, and fully autoclavable LEDs, connectors, and component housings for medical devices. SCHOTT components meet the challenging sterilization requirements of medical devices and have been tested to withstand over 3,500 autoclaving cycles in humid heat at a temperature of 275 degrees Fahrenheit. Ophir Photonics, a Newport Corporation, began making laser power meters, energy meters, and beam profilers in 1979, and we’ve never looked back. We have headquarters in the United States, Israel, Japan, and Germany, as well as distributors in over 50 countries worldwide. Make something big with something small with FLIR, the world’s highest volume infrared camera and core supplier. Our proven components like the Lepton®, Boson®, and the Neutrino™ cores, FLIR’s common software architecture makes for ease of integration across an array of applications. Integrating FLIR’s cameras, cores and components based on your size, weight, power, and performance requirements is easy and may be the last little piece you need for your next big idea. Our company began with an ingenious idea: combine high-volume, low-cost commercial glass manufacturing with the technical precision of optics and thin film coating. A quarter-century later, you can rely on us with confidence - because we put all those years of experience into every component we create for you. The human eye is particularly sensitive to green, but less sensitive to blue and red. Chemists led by Hubert Huppertz have now developed a new red phosphor whose light is well perceived by the eye. University of Copenhagen researchers have developed a nanocomponent that emits light particles carrying quantum information. Less than one-tenth the width of a human hair, the miniscule component makes it possible to scale up and could ultimately reach the capabilities required for a quantum computer or quantum internet. Welcome to Photonics Online, the Internet's leading source of cutting-edge technical information about the laser, optics, optoelectronics, fiber optics, and imaging industries. 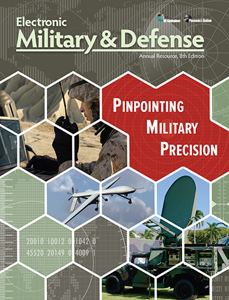 If you are a scientist, engineer, designer, or system integrator working in any of these fields, you now have instant access to a comprehensive web site that delivers the latest information on a wide variety of pertinent topics such as display components, camera components, light sensors & detectors, lasers, optical components, optical fabrication, LED, fiber optics, light signal analysis, photonics positioning diode-pumped solid state (DPSS) laser systems, nonlinear optics, high-speed detectors, fiber optic components, optical coatings, and optical design and fabrication. 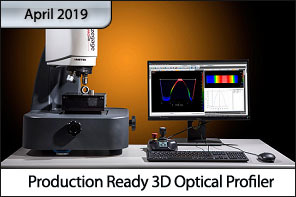 Whether you're looking for cutting-edge technology, the latest business developments, engineering reference data, or hot new products, Photonics Online has all the information you need.